Los Angeles bathes in sunshine nearly 300 days per year. 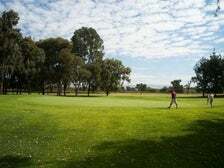 Cold fronts are also unimaginable, meaning the weather is ideal for golf, a sport that requires spending several hours outdoors. Yes, plenty of snowbirds flock to L.A. to play golf during winter, and city denizens regularly invade the links. Learn about 23 of the best 18-hole public golf courses in L.A. County, with signature holes listed in most cases. 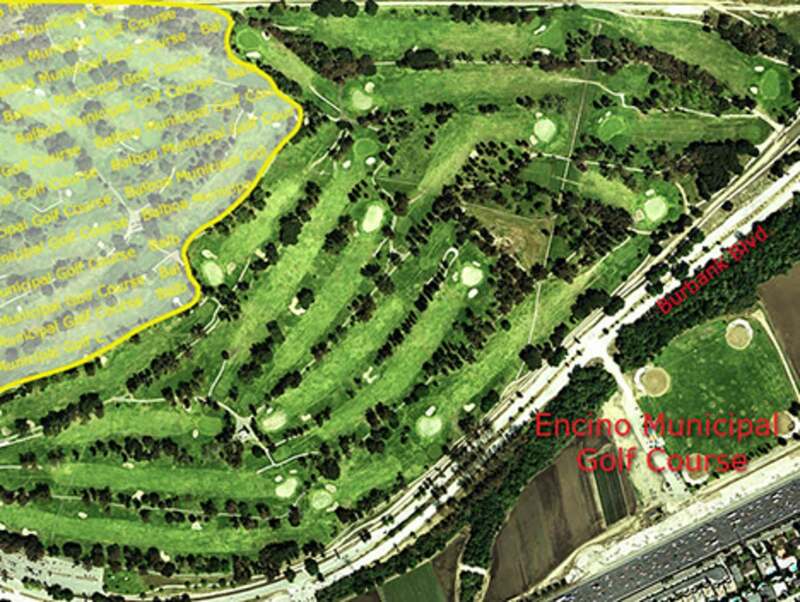 This freeway friendly L.A. County public golf course is sandwiched between the 405 and El Camino College. William P. Bell and William H. Johnson, two names you’ll read often in this story, designed the north course, which is par 72 and opened in 1947. Cecil B. Hollingsworth also designed a south course that debuted the same year. 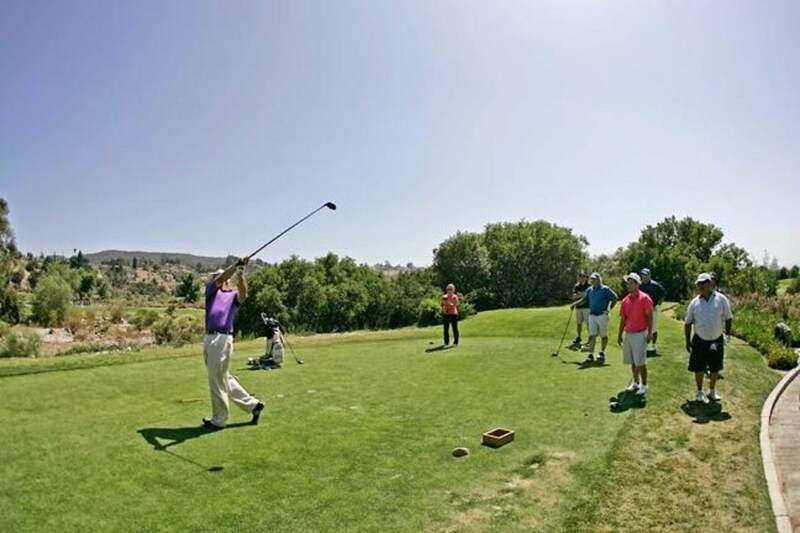 Angeles golf course, the only course that Jack Nicklaus designed in L.A. County, rests in the foothills below Angeles National Forest, right off the 210 freeway. 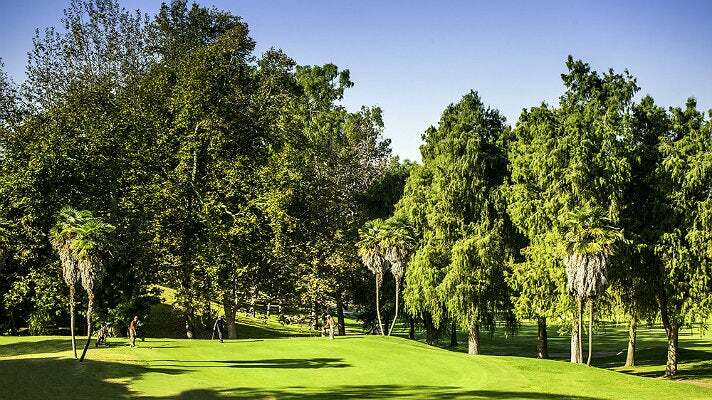 Views are a key selling point, and Angeles hosts one of the top clubhouses of any public golf course, with Spanish-inspired architecture, a full restaurant, bar and pro shop. All of this makes it one of the best golf courses in the area. Signature Hole: #18 has views of the lake as you step up to the green. 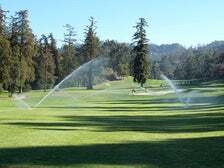 In the background, you’ll find a fountain and agave, a plant that inspired the course’s logo. 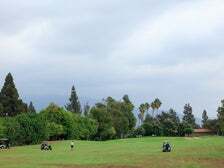 William P. Bell & Sons designed this municipal golf course, which opened in 1954 as half of the Sepulveda Dam Recreation Area. Steve Timm expanded the par 72 course in 2008, making the tree-lined course with narrow fairways even more challenging. 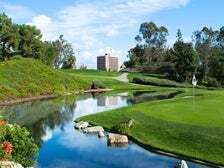 Signature Hole: #3 is a par 5 that sets up nicely on a relatively flat, water-free course. Cost: $32-42 to walk, depending on the day. Add $14 per person for a half-cart. Average Round Duration: 4 hours during the week, 5 on weekends. 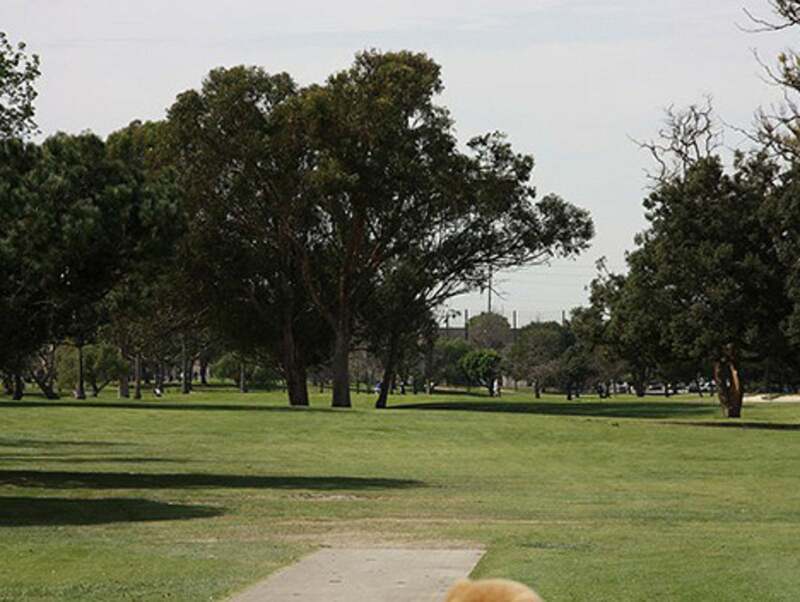 This golf course resides due south of the 105 freeway and a few powerful swings from Hawthorne Municipal Airport in L.A.’s West Athens neighborhood. The par 70 course delivers rolling hills, tree-lined fairways and forgiving greens. 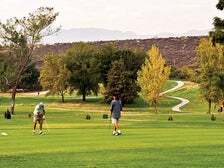 In 1982, L.A. County Supervisor named the Western Avenue Golf Course for Chester Washington, a journalist who published 13 newspapers for his company, Central News-Wave Publications. 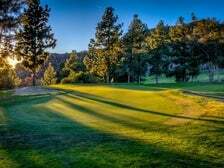 Signature Hole: #13 is Chester Washington’s longest, toughest hole, a par 3 with a green surrounded by trees and bunkers that plays uphill with a false green. 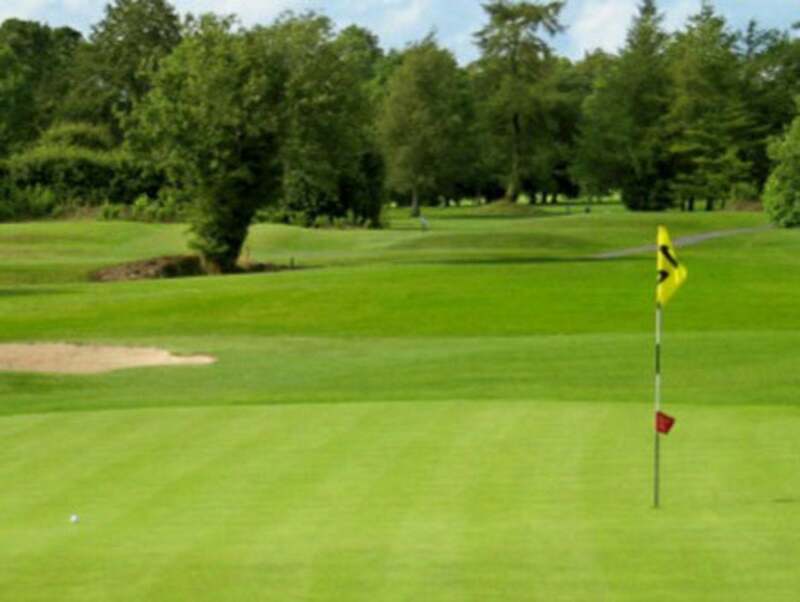 The green looks closer than it really is, so golfers often select a different club and fall short. Cost: $30 to walk and $44 to ride on weekdays, $40 to walk and $55 to ride on weekends. Prices decrease at 2 p.m. for Twilight and fall further for 4 p.m. Super Twilight. Average Round Duration: 4.5 hours. This golf course is sandwiched between Burbank’s Starlight Bowl and Wildwood Canyon Park in the Verdugo Hills. William F. Bell designed this par 71 course, which delivers Valley views, challenging elevation shifts and Kikuyu grass rough. 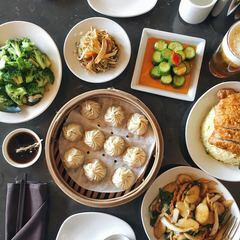 The Canyon Grille delivers “California Continental” cuisine and Craftsman décor on-site. Signature Hole: #11 is tricky because you can’t see over the top. Bonus: when people at the bottom of the hole are done, they ring a bell to call the next group to the tee. Cost: $30 to walk and $44 to ride M-F, $40 to walk and $50 to ride on weekends. Discount for Burbank residents. Average Round Duration: 4 hours on weekday mornings, 4.5 hours on weekends. 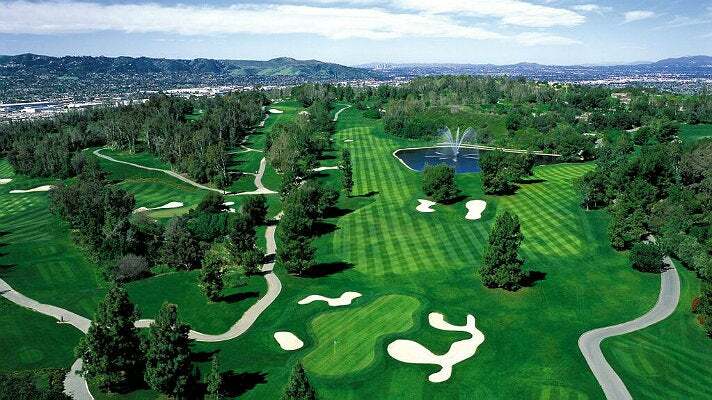 This golf course runs along the 60 freeway on the San Fernando Valley’s eastern edge. William F. Bell designed this course, which debuted in 1963 and now features an occasionally hilly backdrop, a central lake, and plenty of trees. 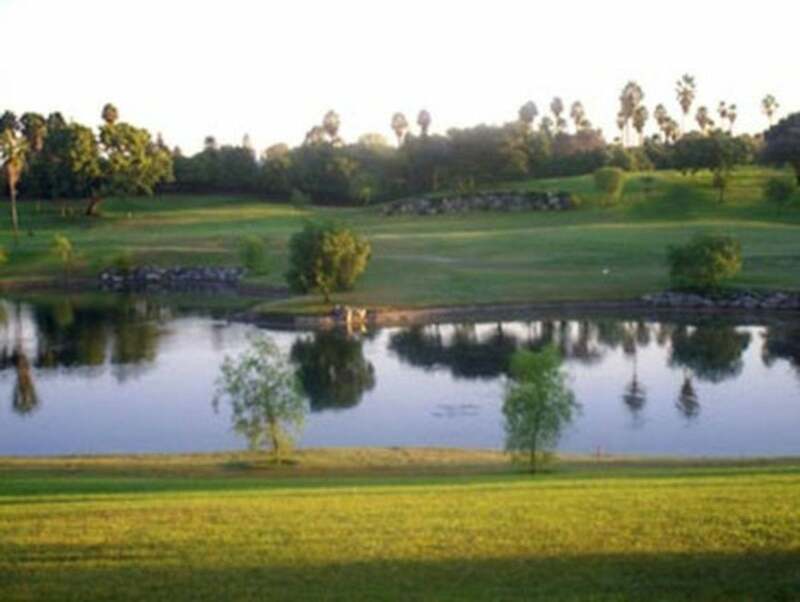 Signature Hole: #9, a par 3 overlooking a lake with blooming bougainvillea lining the edges. Cost: $30/$45 on M-F, $40/$55 on weekends. Average Round Duration: 3 hours on weekday mornings, 5 hours peak weekend times. El Cariso Park golf course opened in 1977 with a design from architect Robert Muir Graves. 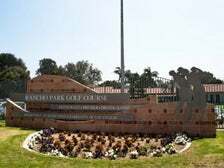 The par 62 course is located next to Los Angeles Mission College and El Cariso Community Regional Park. The relatively easy course resides near the western edge of Angeles National Forest, which ensures that you’ll have compelling views in the distance. Signature Hole: #11 is a fast, fun par 3 that rolls downhill. Cost: $30 on weekdays, and $40 on weekends. Prices decrease at Twilight and fall further for Super Twilight - times vary by season. Average Round Duration: 2.5 hours early morning, 3 to 3.5 hours midday. William P. Bell & Sons designed this L.A. City golf course, which debuted in 1957 in Sepulveda Dam Recreation Area, a park that also houses sister Balboa Golf Course. 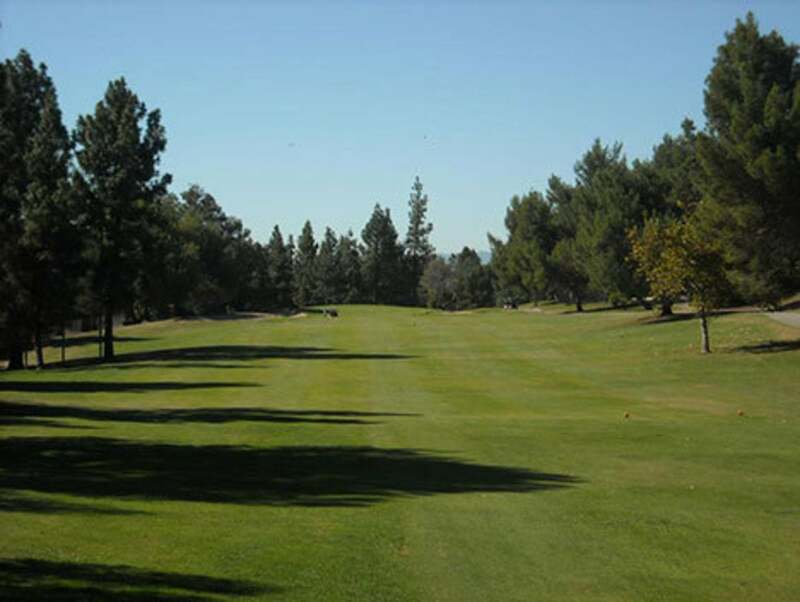 Burbank Boulevard frames this tree-lined par 72 course with wide fairway on the south side. The Los Angeles River serves as the course’s northern border. Signature Hole: #14 is a pretty, dogleg right hole (that bends right like a dog’s leg) and has pine trees that enter into the fairway, offering an added challenge. Cost: $32/$42, with Twilight and Super Twilight disounted rates. $14/person for half-cart rental. Average Round Duration: 4 hours on weekdays, 5 hours on weekends. This golf course resides in the north San Fernando Valley, just south of Hansen Dam Recreation Area. David Kent designed this course, which debuted in 1964, and Ray Goates later made upgrades. A thin “river” subdivides the course, which is rife with trees, elevation shifts, and is known for smaller greens that make approaches challenging. Signature Hole: #6 stands out as for being the course’s only hole with a water hazard. Cost: $$29/$39. $14/person for half-cart rental. 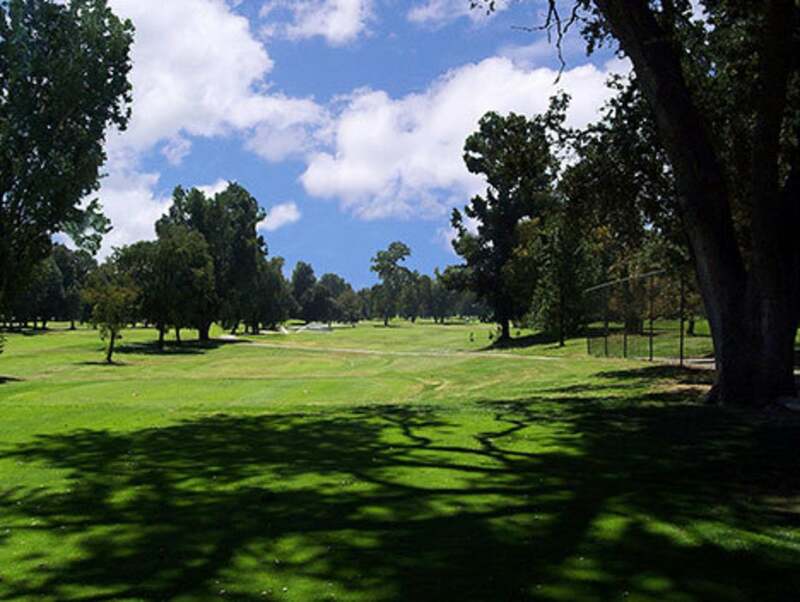 This golf course, named for the 29th President of the U.S., resides along the northeastern perimeter of Griffith Park. George Thomas designed this Par 72 course, and William P. Bell and William Johnson later tweaked the design. Harding most famously co-hosted the Los Angeles Open with neighboring Wilson Golf Course from 1936-38. Cost: $32/$42. $14/person for half-cart rental. 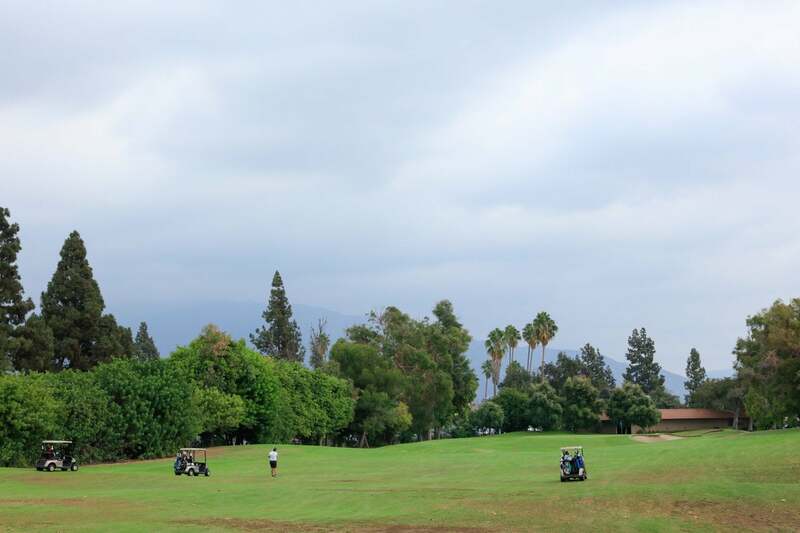 This 36-hole city of industry golf course resides above the 60 freeway, with the San Gabriel Mountains in the distance. Architect William Bell, Jr. designed two public golf courses side-by-side. The Eisenhower Course goes by The Ike and refers to our 34th President, Dwight D. Eisenhower. The Zaharias Course (aka The Babe) was named for the late, great golf, basketball and track star, Babe Didrikson Zaharias. Signature Hole: Ike #2 is a par 4 where golfers must negotiate a steep drop-in to reach an island green. Babe #3 is especially picturesque, with palm trees, lakes and water features. Cost: $39 - $110, depending on the day and time. William F. Bell designed this golf course, which is located near the 118 Freeway and Van Norman Bypass Reservoir in the rolling canyons of Granada Hills. 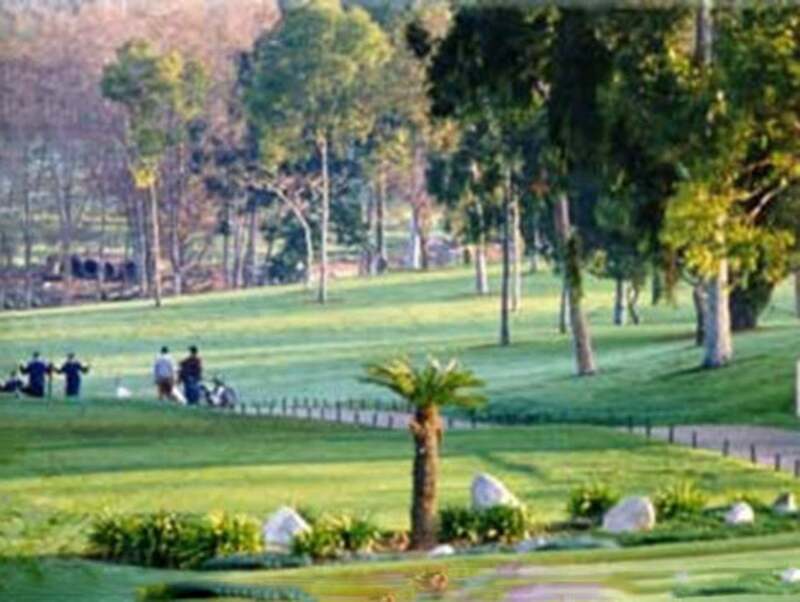 The par 72 course features lean fairways framed by eucalyptus and pine trees and relatively secluded greens. Signature Hole: #17 is par 3 with a nice elevation shift that runs from high to low and a trajectory that’s surrounded by recently redesigned bunkers. Cost: $30/$40. $15 cart fee. 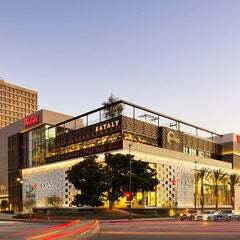 Discounts for Twilight, Super Twilight, and seniors with an L.A. County card. This La Mirada golf course layout is almost equidistant from Interstate 5 and Coyote Creek in southeast L.A. County. William Bell designed La Mirada Golf Course in 1961. 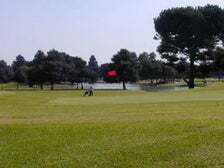 Now this par 70 course is one of the best public golf coursesknown for rolling Kikuyu grass greens, sometimes-tricky blind spots with bunkers. Signature Hole: #16 is a pretty unique par 5, which goes uphill at the end, making it challenging. William Bell designed Lakewood in 1933. 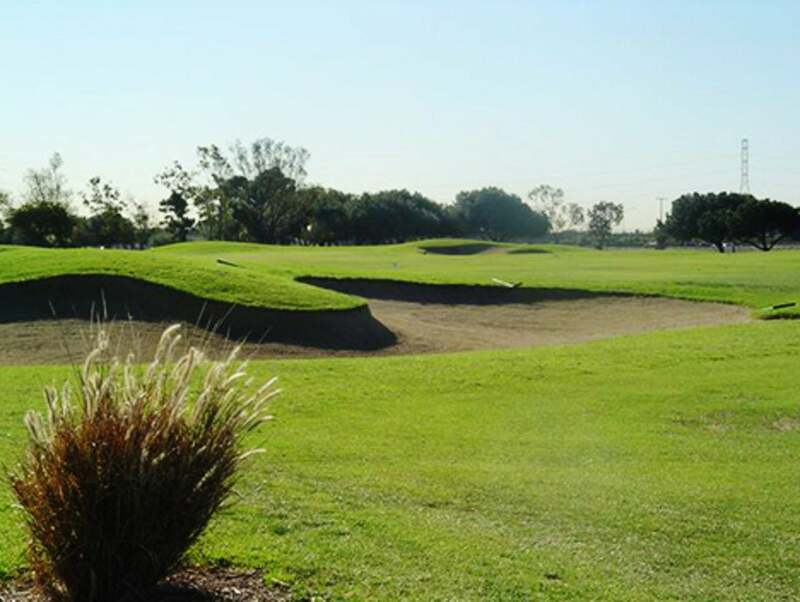 The course remains freeway friendly and is located next to Long Beach Airport. You could easily play a round before a flight. Bouton Lake bifurcates the curvy par 72 course, which also houses plenty of sand traps. Signature Hole: #12 is a tougher par 3 without a lot of green to work with, a sizeable bunker, and water on the left. Average Round Duration: 4 hours early on a weekday, 5 hours on weekends. 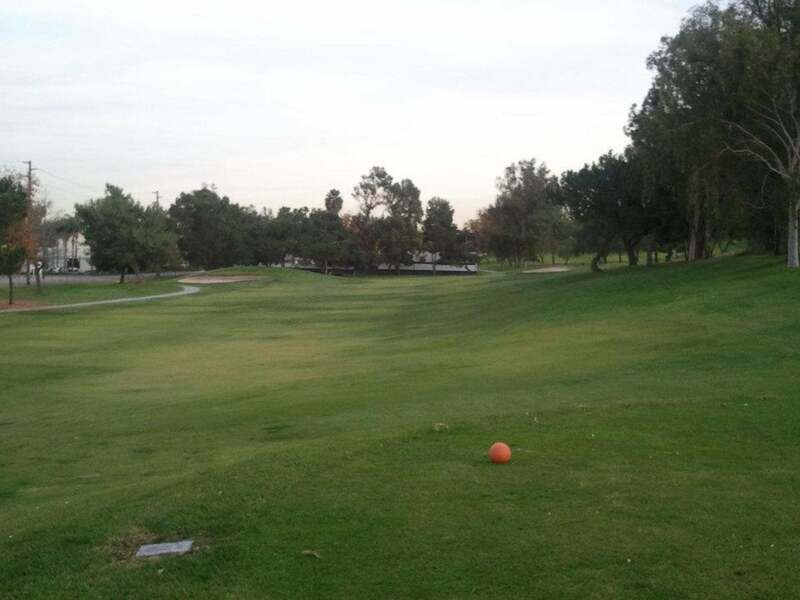 This golf course is right off the 710 and 105 freeways, near a tributary to the L.A. River. William Bell designed this course, which debuted in 1966. After your round, retreat to The Hazard Bar & Grill. Los Amigos also touts a driving range that has lighting at night. Signature Hole: #17 features a green that’s higher on the end and dips down in the middle. 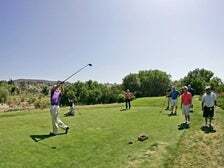 This golf course, which feels like it could be at the end of the earth, rests on cliffs above Golden Cove and Point Vicente Lighthouse in Rancho Palos Verdes. Views of the Pacific Ocean and Catalina Island are a major draw. Designer William Bell also capitalized on the hillside slopes to create some challenging holes that require deft putting. Signature Hole: #15 provides panoramic views from the fairway and green. Average Round Duration: 4 hours at 7 a.m., 4.5 hours at 9 a.m., 5 to 5.25 hours at 11 a.m. 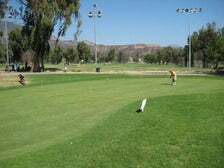 This golf course is right off Interstate 10, due south of the Pomona Fairplex and Brackett Field Airport. 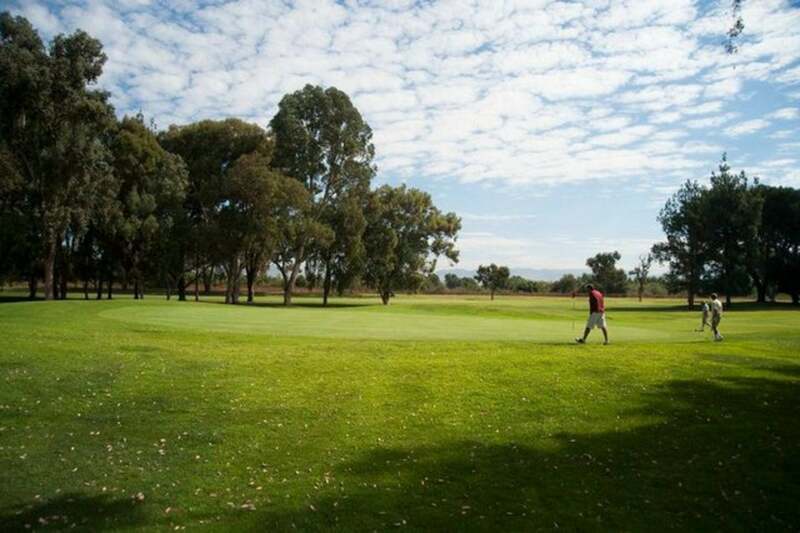 Even though the course isn’t actually in the mountains, you will find fairly hilly terrain, with jacaranda trees and views of the San Gabriels adding to the experience. Signature Hole: #9 is a par 3 that’s fun to play and not too challenging, with a lake on the right hand side. 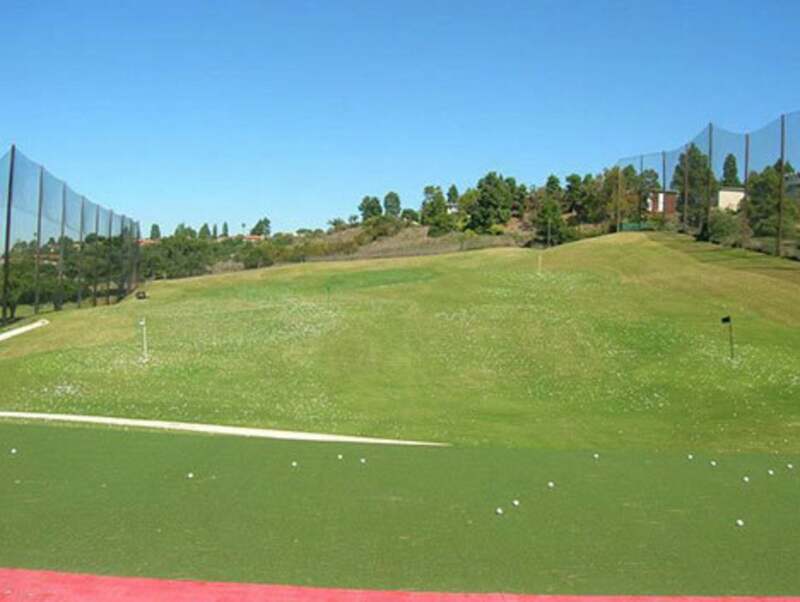 This golf course is centrally located in Cheviot Hills, a short walk from Fox Studios and Century City. William Johnson and William P. Bell designed the geographically compact course, which launched in 1949 with the U.S.G.A. Public Links Championship. Rancho Park is par 71, with rolling hills and small greens that provide challenges. Signature Hole: #18 is a par 5 where Arnold Palmer famously scored a 12 during the 1961 Los Angeles Open, including four out-of-bounds shots on the driving range to the right and Patricia Street on his left. Cost: $35.50/$45.50 with discounts for Twilight, Super Twilight and Seniors. $14/person for half-cart rental. 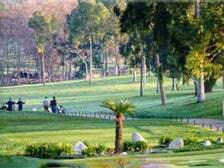 This Arcadia golf course resides across Huntington Drive from famed Santa Anita Park and in the shadow of imposing San Gabriel Mountains. 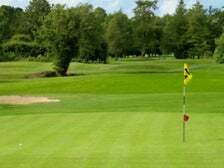 This rolling par 71 course was originally part of Elias J. “Lucky” Baldwin’s ranch and housed an Army Balloon School. Signature Hole: #18 is a par 4 dogleg right that ascends a bigger hill and poses a bigger challenge. Cost: $30/$40 with discounts for Twilight, Super Twilight and Seniors. $30 for two-person power cart, $15 for single rider. Signature Hole: #14 is a par 3 with high undulation that’s surrounded by two large bunkers, a challenging hole. Cost: $43 to play with a cart during the week, and $53 to ride on weekends. 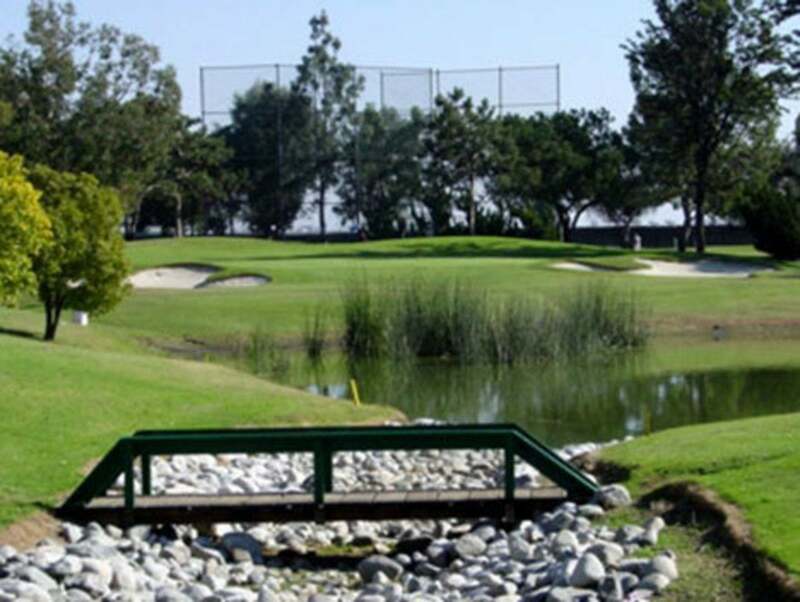 This freeway-friendly course in Rosemead houses 27 holes, which allows you to mix and match between the River, Pine and Mountain layouts, all designed by William F. Bell. 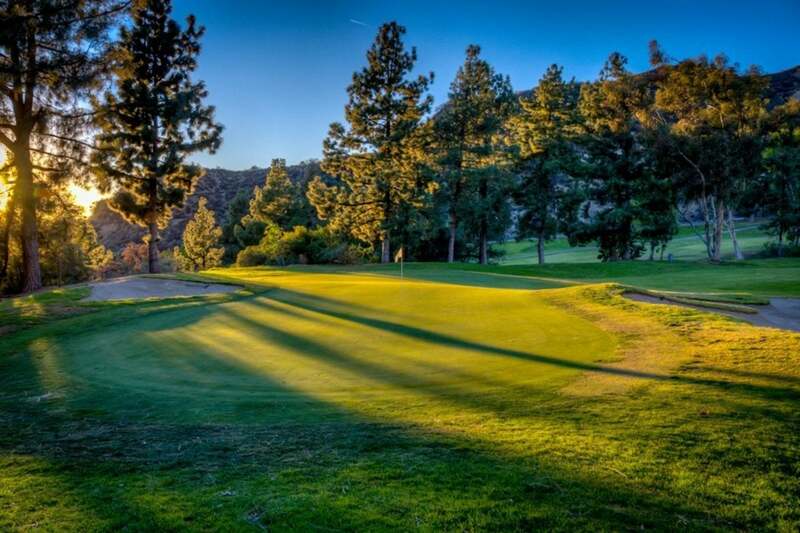 Expect tree-lined fairways and views of the towering San Gabriel Mountains. 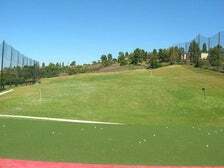 Whittier Narrows is also the proud home of the PGA Learning Center, which provides progressive instruction to golfers of all skill levels. Signature Hole: #14 is a long par 5 with trees to the left and right. Second shot has to stay to the right, to avoid the trees and street. Third shot has to carry over a bunker to reach a small corner target. 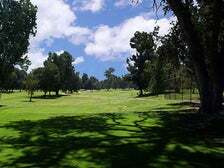 This Griffith Park golf course is one of the top public golf courses in California and one named for past Presidents. George C. Thomas evidently found inspiration in Woodrow Wilson, 28th President of the U.S., when he designed the course in 1927. William P. Bell and William Johnson later modified the par 72 course, which co-hosted the Los Angeles Open from 1936-38 with sister course, Harding. Signature Hole: #1 is a par 5 that requires hitting uphill, which is challenging. Cost: $35/$45. $14 for half-cart rental. 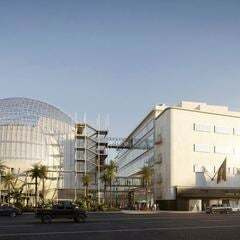 Discounts for Twilight, Super Twilight, and seniors with an L.A. County card. 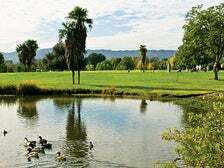 Ray Goates designed this municipal golf course, which debuted in 1975 in the Sepulveda Basin Recreation Area. 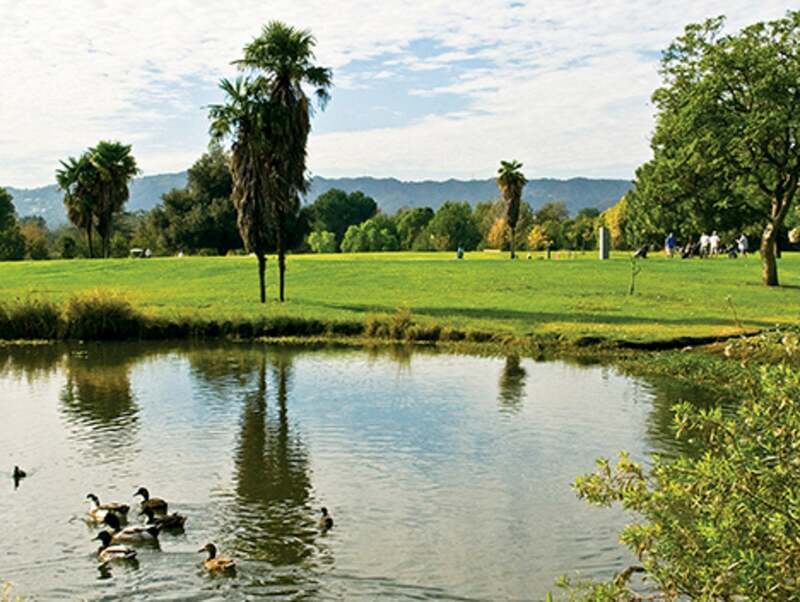 The Los Angeles River forms the southern perimeter of this Par 72 course, which contains six scattered lakes, sparse trees, and plenty of wildlife. 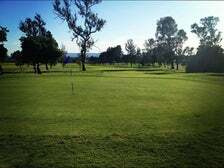 So if you’re in Van Nuys and ever wonder where the closest municipal golf courses are, check out Woodley Lakes Van Nuys Golf Course. Signature Hole: #10 is a long dogleg right over some water. If you want to try and make birdie, you need to cut it, which isn’t easy. Cost: $28/$38. $14 for half-cart rental. Discounts for Twilight, Super Twilight, and seniors with an L.A. County card. Average Round Duration: 4 – 4.5 hours during the week, 5 – 5.5 hours on weekends.